I have changed the profile email to a different one but it seems the form is only sending to the email that is registered on the account. Is this a bug? Or it there a way to fix this? 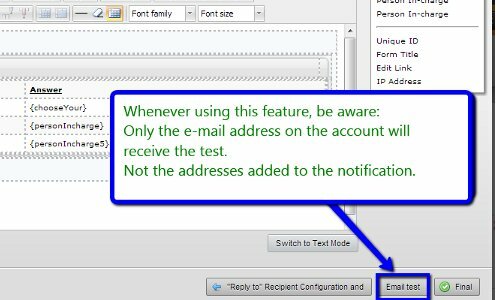 Are you running our test e-mail feature? or are you actually placing a submission? I have done both. Both send to the same person. Hmm, Seems to work now, I think our company spam filter may of sifted it out. Sorry about that! Good to hear that it's all working fine now. If you need our assistance again, feel free to contact us at anytime.